Citigroup is a truly global banking giant. Its employees trade billions of dollars of currencies, shares, bonds and other instruments every day. The company started out almost 200 years ago in New York City, and since then has grown to become the world's largest financial institution. 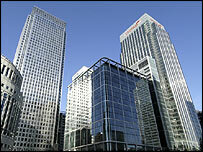 Citigroup operates in more than 100 countries and handles over 200,000,000 customer accounts. The company recently reported a net income of $17bn (£8.8bn) for 2004. That should have been a moment of triumph, but Citigroup has been hit with a list of scandals. Citigroup expects to pay almost $5bn to cover legal actions resulting from its relationship with the bankrupt telecoms firm Worldcom. The group is scheduled to pay the US financial regulator, the Securities and Exchange Commission, almost $200m after an investigation into commission payments. It has already agreed to pay $75m to settle a class-action suit over its role in the collapse of telecom network provider Global Crossing. Citigroup has been forced to close its Japanese private bank after repeatedly breaking local rules, while in Europe its traders made a huge - but controversial - trade in euro bonds that disrupted the market and is currently under investigation. On top of that, administrators of the bankrupt Italian food group Parmalat are taking legal action against Citigroup. Serious mistakes have been made, admits Sallie Krawcheck, Citigroup's chief financial officer. "2004 was not a good year for us. There are places where we have done some things we should not have done. We need to make things right and express our regret. We need to move on and make sure we're learning from it," she says. "There are incidents, like Parmalat, where we did in our view nothing wrong, and we don't want to become an easy target for folks looking to get money out of the company. That one we are going to fight tooth and nail." Remember the 1980s, the decade of booming stock markets, yuppies and shoulder pads? In many ways the era was encapsulated in the film Wall Street, in which Michael Douglas played the crooked financier Gordon Gecko, who infamously declared "greed is good". According to one commentator, Amey Stone, the problems emerging at Citigroup now, are born out of this culture. Citigroup was created from a series of mergers and acquisitions, and the pressure to make these deals work financially was high. Tough profit targets were set and executives could earn big bonuses. Ms Stone, a journalist with the financial magazine Business Week, co-authored a book on former chief executive Sanford Weill, the man responsible for creating the Citigroup of today. But changing the mindset from maximising short term profits to considering the group's long term reputation is now a key management priority, says Citigroup's current chief executive, Charles Prince. The banking industry is one where reputation is everything, and recent scandals will not have helped Citigroup. Only a few weeks ago Mr Prince announced a new series of initiatives. An ethics hotline is to be set up for employees and their pay may be linked to the long term health of the group. But can this more ethical move really change an organisation's inbuilt culture? Ms Krawcheck thinks so. "I can tell you that this management team, led by 'Chuck' Prince, has made it its number one priority to be the most successful financial services firm in the world. "We're taking numerous actions - including compensation and reviews - all the things that get to the culture of an organisation, to make sure we have a culture of the highest ethics." "We need to make things right and express our regret."